First time Lotus owner here.......I just bought my S1 Elise a couple of weeks ago after many years of enviously looking on. It's a road car and will remain so. 40,000 miles and in fairly good nick, although it has the horrible shrieking fan which means I will take the clam off at some point. I'm quite used to building and maintaining cars, especially mid-engined and glassfibre, as my other 'baby' is a Darrian GTR rally car.....although he's significantly faster than an Elise! I live in Appleton, Warrington. Always in motion, is the future. and welcome to the forum, I'm in Warrington too, (Burtonwood). Hope you enjoy your elise, I'm on the look out for an older s1 for a motorsport body project with audi power. 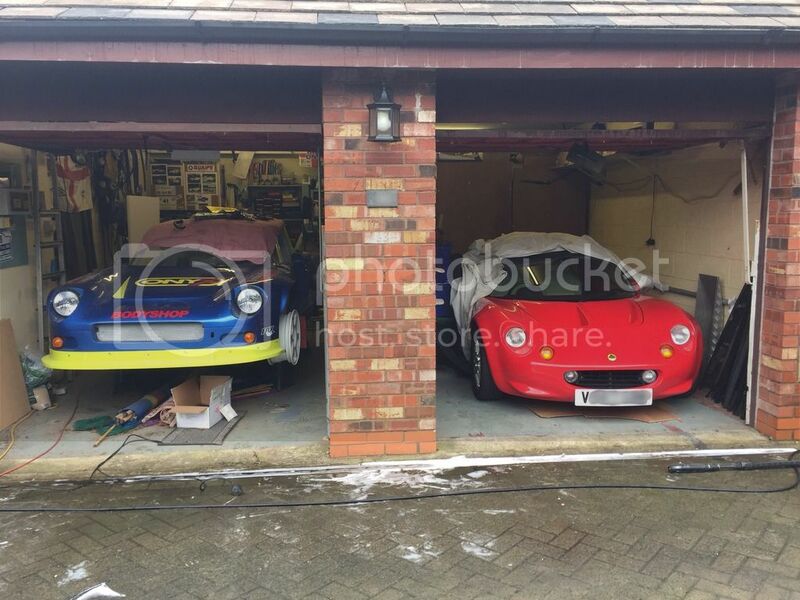 also have v6 exige and nearly finished elan spyder zetec conversion. what colour is your elise, I'll give you a wave if I see you out and about! Welcome to NORLOG and to Lotus ownership. I hope you enjoy your S1. Have a look in the Meets and Events section for upcoming meetings/outings. Oh, we need to see photos of your new car! It's a NORLOG tradition!!! Hello and welcome to our Lotus world. You do need to post a photo of your S1 and interested to know more about your Darrian GTR. Thanks for the greetings.....I would love to put some photos up but I must be a dunce as I can't work out how! Hi moggy, you finally made it welcome to norlog. Good choice with the s1 just hope you got the right colour being handy with the spanners is good thing you'll need to be, not because they always breakdown it's just such fun to pull them apart and put shiny things back on. It's calipso red Dave....I will put a photo up if I ever work out how! I use photbucket, upload your pictures to there then copy the image link and paste it into your post. It doesn't have to be photobucket there are others that's just the one I use. I must be a proper numpty.......I've put photos on photobucket and tried inserting the link using both the 'image' and 'link' buttons but I can't get it to work. Welcome along, Ime also in Appleton Warrington. With the same colour car although it's currently wrapped and covered in stickers. Hopefully see you around and about. Mines currently hiding in the garage with its rear clam removed waiting for me to give it a refresh hopefully get round to it sooner rather than later. Thanks all. I'm looking forward to fettling my car as well as going to some of the meets. Mostly I'm into stage rallying (hence the darrian) and there are a couple of guys on my events who rally S1 Exiges (I think both started life as Elise's)......these both have Honda engines and do very well. If I didn't have the Darrian I would build a similar Exige although I would use my Duratec engine from the Darrian. There are a few of us actively involved in motorsport. I'm also a member of BLMCC and only gave up rallying in 2015 after selling my Corolla AE86. Currently just doing the odd touring assembly and autosolo. Thanks for all the replies! I've a couple of jobs to do (new tyres and front clam off for rad/fan and a few other bits) and then we will use the car and get to some of the meetings. One of the reasons we bought this car was for the social side.